I saw this idea and I had to try it! 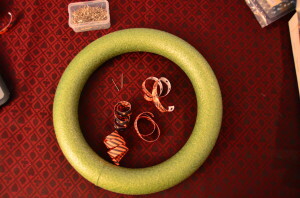 So while I was working on it I decided to make a tutorial for you. This was such a fun and easy project. 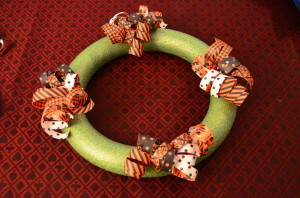 In fact I had loved it so much I did the Halloween wreath and decided to make a Christmas wreath too! 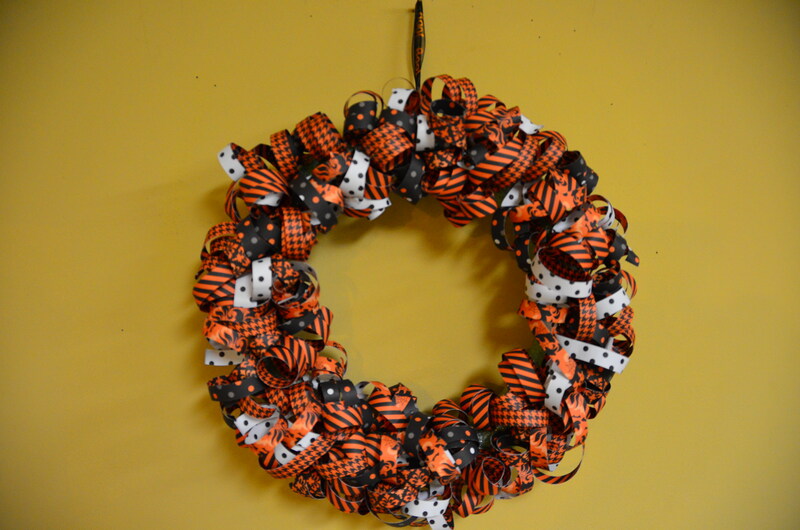 For the Halloween wreath I used a retired Close to My Heart paper packet. I used 4 pieces of paper and cut ½ inch strips…. 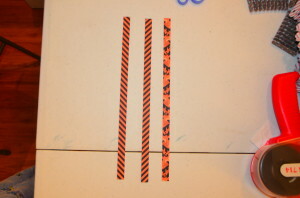 Make sure that if you have a striped paper like below that you cut it so the stripes go up. If you cut them going down then the paper doesn’t curl right. Next you curl the paper by holding the middle and curling each side separately away from the middle. Then using straight pins you pin the curls to a Styrofoam wreath. 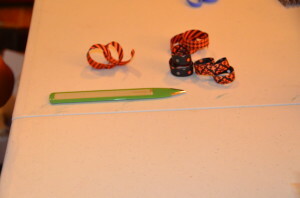 Then I just pinned a ribbon to the back using several straight pins. You can even fluff the curls to make it nice and full. So here is the finished wreath for Halloween and Christmas. I wish I had used more reds in the Christmas wreath but I was saving it for some other projects. 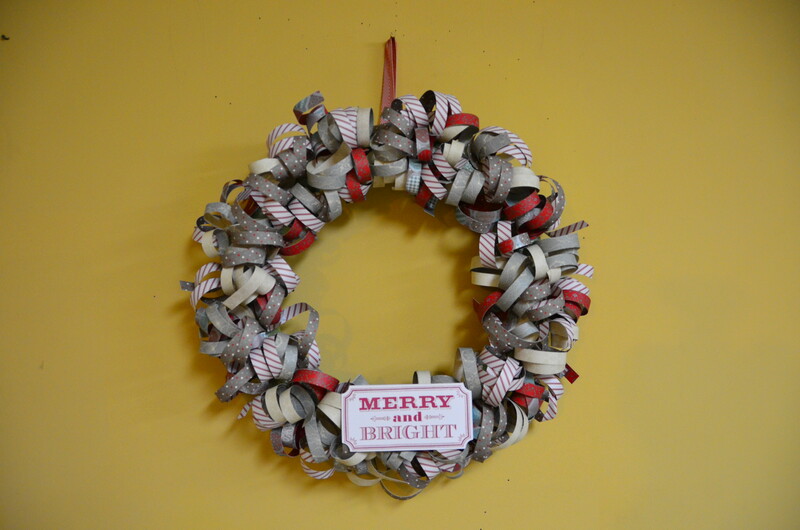 I used our Sparkle and Shine paper packet and the Frosted paper packet to make it. I also used the stamp from the Sparkle and Shine Workshop on the Go. It coordinates with our Art Philosophy Cricut Cartridge so I didn’t have to cut out the shape. Have you checked out our Holidays from the Heart Gift Guide? 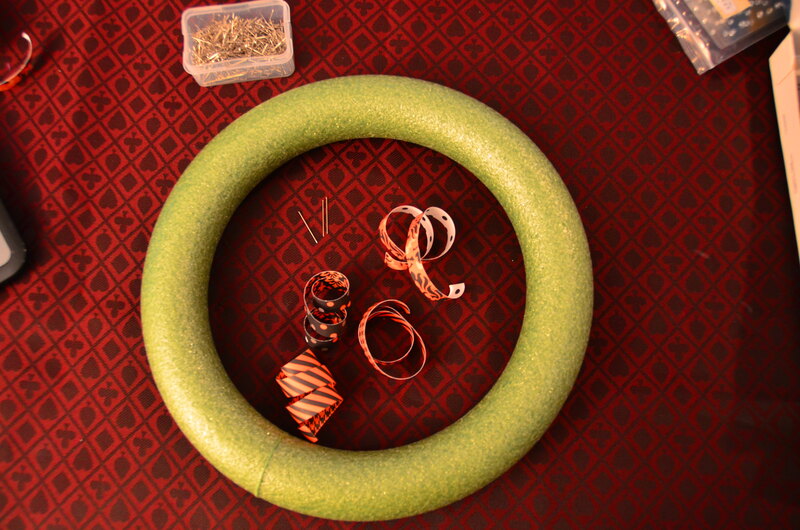 That’s where our new Sparkle and Shine paper and coordinating accessories can be found. The pictures don’t do it justice. It has a beautiful shimmer to it. Don’t forget that if you make a $100 purchase you get a free “star” item from the Holidays from the Heart Gift Guide. Wow! Can’t believe it’s October already. That means it’s officially fall… at least for me that’s how I think of it. In a few days you will have the chance to see our awesome new mini-catalog that will only be available until December 31. Get ready to check out some awesome things! I’ve had a chance to preview it and can’t wait until I get my goodies. They should be here any day now. When you place a $100 order you can get one of the “star” items from the mini-catalog for free. 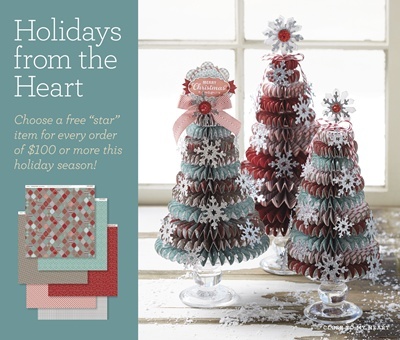 Check out these adorable trees made with the sparkle and shine paper. I can’t wait to make these! In the meantime check out this adorable birth announcement that my friend Heather made. She was sweet enough to allow me to post this here. 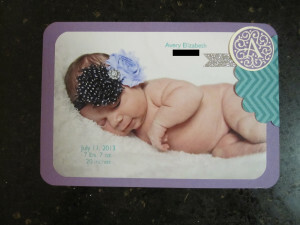 I know the baby just makes this card even more adorable than it already was! She rounded the corners and used our personalized stamps to label them. She even used our great monogram stamp and cricut cartridge.